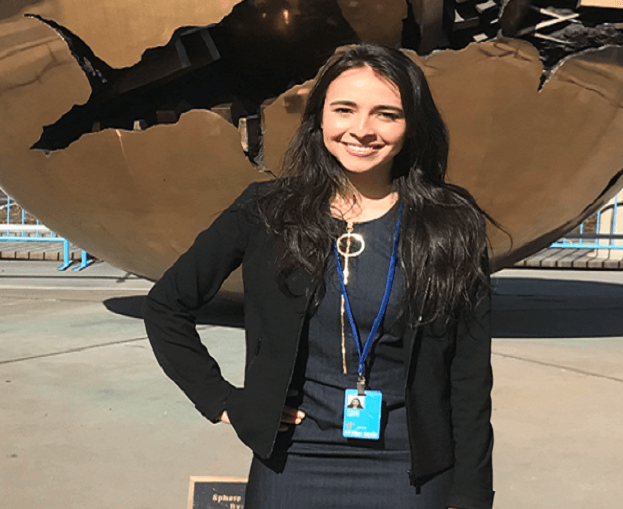 Pace University student Angelica Roman ’19 at UN headquarters in New York City. 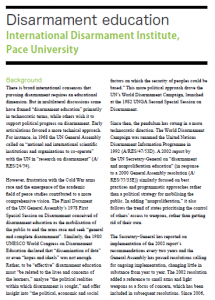 The following reflection is from Angelica Roman ’19, a Pace University undergraduate who participated in the POL297L Global Politics of Disarmament and Arms Control class in Fall 2018. 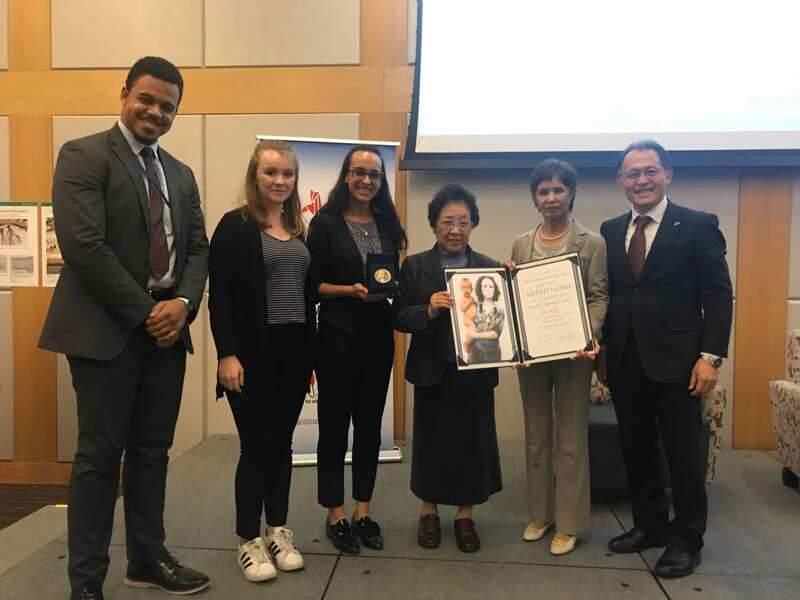 Students were given with service learning assignments with disarmament advocacy organizations working in and around the UN General Assembly First Committee (International Security and Disarmament). For more on the class, click here. 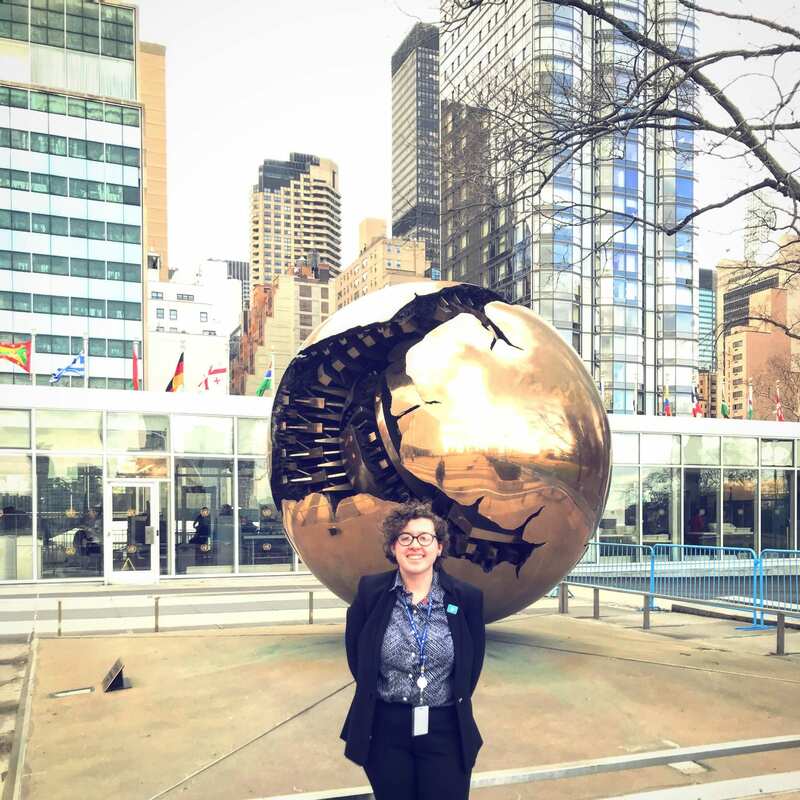 I walked through the doors of the United Nations on September 27, 2018, clenching my grounds pass, anxiously walking through the halls, feeling the nerves creep through every vein of my body. “I don’t deserve to be here,” my thoughts piercingly echoed in my head. “Why was an inexperienced philosophy undergraduate student attending First Committee?”, I asked myself. In a room full of expert Delegates and activists I felt like the pariah. I was the young adult who knew very little about nuclear weapons, missiles, drones, or really any topic at First Committee. Yet I was guaranteed a seat for two weeks. I was allowed to hear, take notes, and ask questions to the leaders of the world. I realized that this opportunity I had was one of a kind. And while other college students read and studied the reports of First Committee that week, I was able to physically be present in the room with all of the delegates. 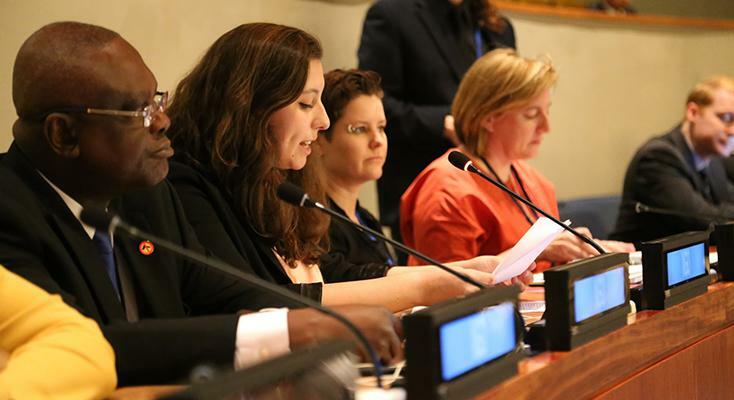 Pace University student Rachel Salcedo ’17 addressing the United Nations General Assembly First Committee on disarmament education. 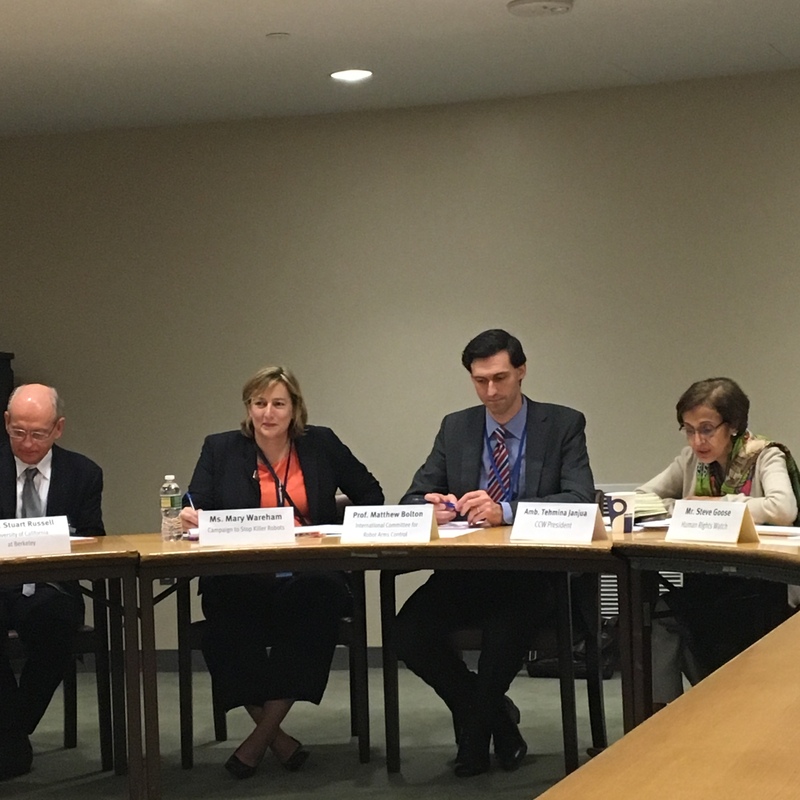 “Education can help empower the greater participation of youth, women, survivors of violence, and people from the Global South in peace and security policymaking,” Rachel Salcedo ’17, peace and justice studies major, told the United Nations General Assembly First Committee in a statement on disarmament and nonproliferation education.